Conceals identity, yet leaves the mouth open to holler at Superman! Don't have him heading out to take on Superman without the right gear! This Dawn of Justice Child Affordable Batman Mask looks just like the one from the movie, but at a price point the won't break the bank. (Because face it, most of us do not have Bruce Wayne's kind of bankroll!) With styling straight from the Dark Knight's newest on screen look, any child is sure to love having the authentic style that lets them become the Caped Crusader of Gotham City. 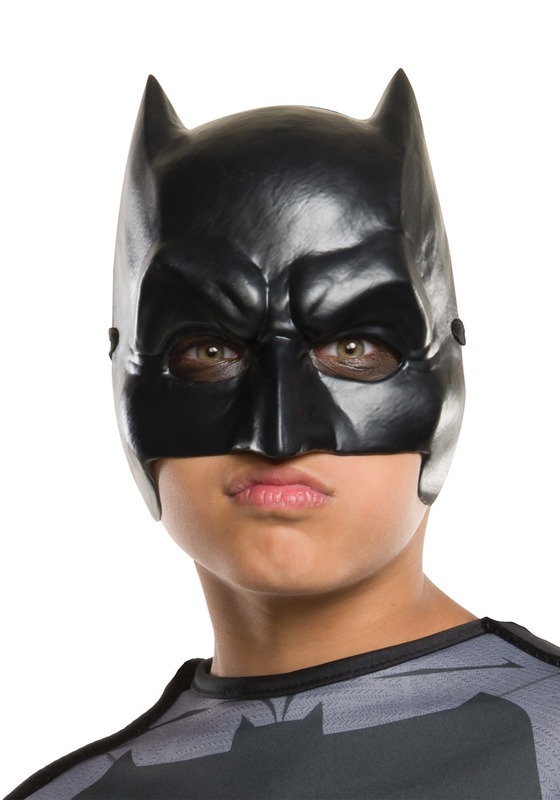 Outfit your child's Batman v Superman costume look with this mask that is inspired by the 2016 flick, and we're sure your little guy will be ready to go toe to toe with the Man of Steel... or be ready to bring home a big bag of treats, at the very least.